Every one of you wants a better life, a more successful career, and healthier relationships; not to mention some extra fun and money. The question is … how do you get all those things? I think one of the best ways to answer that question is to ask someone who has actually done all those things. 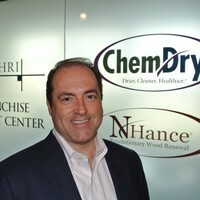 So last week I sat down with Dan Tarantin, the very young president and CEO of Harris Research, Inc. (HRI), the franchisor of Chem-Dry Carpet and Upholstery Cleaning and N-Hance Wood Refinishing. Of course that may not mean anything to you, so let me put that in perspective. Now that’s impressive! So when Dan offered to share his inside secrets with me, I was eager to listen and take notes … and eager to pass on his secrets to all of you, my followers. Alan: Even though you head up a huge international company now, I know you didn’t start at the top. You weren’t born with a silver spoon in youth and you weren’t given a lucrative family business to take over. So where did your success start? Dan: Strangely enough, it all started with grief. When I was 13 years old, my father passed away. To lessen the burden on my mother, I found a job in a sub shop. I worked so hard that I was ready to manage the shop on my own at 16. I began forming my identity as a leader and I learned how to build teams of all ages that worked together, how to mentor and manage employees, and how to run a successful small business. All of that taught me the first secret of success: Work and learn. It would have been easy to go through high school all bitter about losing my father but I channeled my grief into hard work. And learning. I just didn’t get a job to bury my grief and help my mother pay the bills. I got a job where I decided to learn everything I could about what it takes to become a leader and get ahead. Side note to my Tuesday Tip readers: How hard are you working to learn as much as you can so you can also get ahead? Do you have 20 years of experience, or have do you have one year of experience repeated 20 times? Alan: It’s obvious that your first secret of success was a winner: Work and learn. After all, by age 31 you were the CEO of Jackson Hewitt Tax Services. And in the course of four years, you doubled in size to 3600 locations and grew same store sales by an average of 16 percent per year. So what is your second secret of success? Dan: The second secret is: Listen, listen, and listen some more. I couldn’t go into Jackson Hewitt as a young person and pretend to know more than the people who had been there for years and years. I approached everyone with a “teach-me” attitude. I not only learned an awful lot, but my listening also earned the respect of others and overcame our obvious age and generation differences. Side note to my Tuesday Tip readers: Wherever I speak, people ask me about how they can possibly work with all the different generations in the workforce. I think Dan just gave the answer to that question. Alan: I totally “get” the importance of listening. I speak about it all the time in my programs. But what in particular did you listen for? Dan: You might find this a little odd, but I listen for passion. Which is the third secret: Discover the other person’s passion. I’ve found that everyone has some things that are very important to them and when I discover those things by asking the right questions, they open up to me. Then I make a conscious decision to bring those things up in conversations I have with them or in notes I write to them. It’s so powerful because passion pays off … because every successful business and ever successful relationship is driven by passion that is recognized and reinforced. Side note to my Tuesday Tip readers: Think about the most important people in your personal and professional lives. 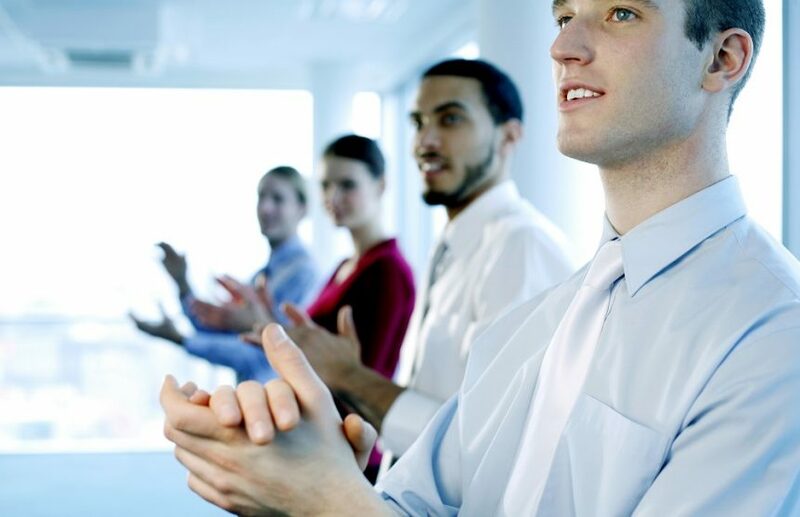 Do you really, Really, REALLY know the particular passion each of those people has? If not, what are you going to do about it? Alan: Almost everything we’ve talked about seems to touch on one of today’s hottest topics, Emotional Intelligence. How does all of that fit into your leadership success or success in general? Side note to my Tuesday Tip readers: If you’re wondering what your purpose in life might be, take a moment to look beyond the job you’re doing and look at the emotions of the people you are affecting. Purpose is found in making a positive difference in the lives of others. Alan: Dan, thanks for your time and insights. It never ceases to amaze me that people such as yourself, who have taken a lifetime to learn what it takes to be wildly successful, are willing to share their “secrets of success” with others. Dan: You’re welcome. But these kinds of secrets were never meant to remain “secret.” I only hope your readers will use them because they really do work.